The Care 100 adjustable-height low beds are the best low beds for the price on the market today. 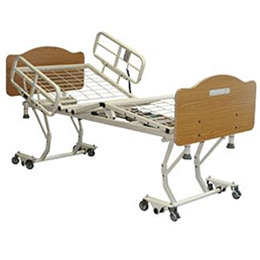 Our newest Care bed model offers value and function without compromising resident or caregiver safety by featuring our tubular frame construction, which is designed to provide a sturdy structure for resident safety. Safe Work Load 450 lbs.